EZDERM is truly ONE system. 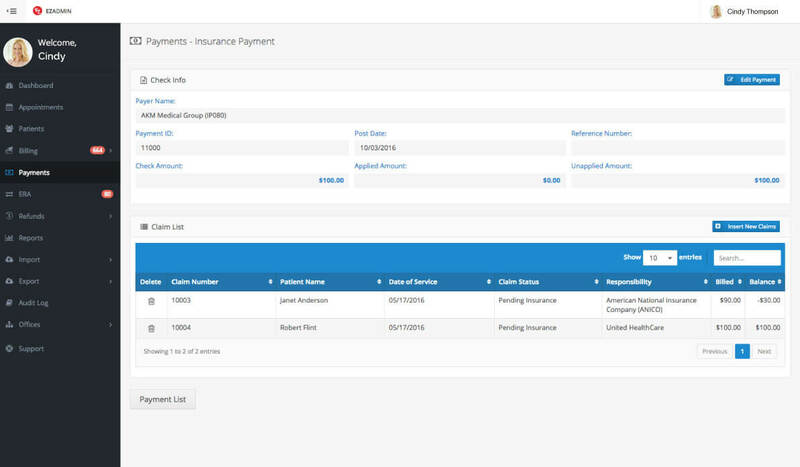 EZDERM PM, our state-of-the-art Practice Management system, allows you to manage your office financial information as a part of a seamlessly integrated platform without the need for any form of bridging. Changes made in any EZDERM product are instantaneously reflected in all EZDERM applications. 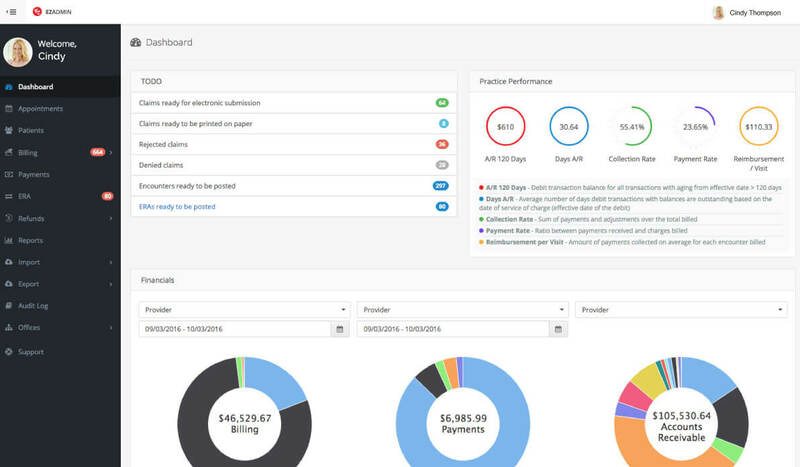 Quickly keep track and understand your practice’s financials with easy-to-read visuals . 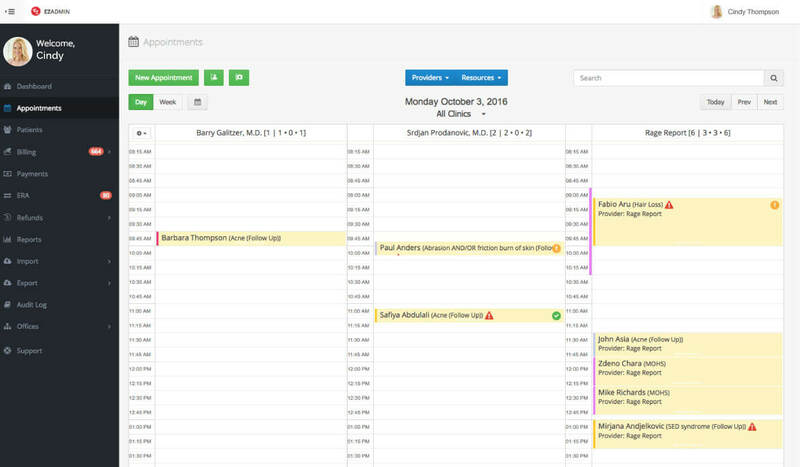 Whether you are a single-provider clinic or a group practice with locations across the country, our scheduling module helps practices optimize their physicians' time. Frustrated with patient no-shows and last-minute cancellations? Our SMS Appointment Reminder tool automatically sends text messages to your patients reminding them about upcoming appointments. Patients can confirm, reschedule or cancel their appointments by simply responding to the text message and their appointment status is automatically updated on your EZDERM schedule. Save on staff time spent calling patients and fill in open appointment slots immediately. Increase your practice's revenue and patient satisfaction with our SMS Reminders! Verifying insurance eligibility for a full schedule of patients online or on the phone can be very time consuming for your staff. Our system automatically checks patients' eligibility 24 hours in advance. 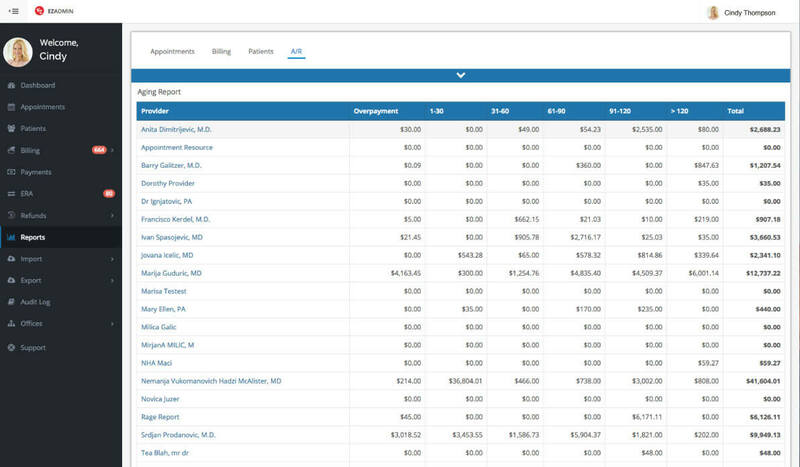 Run customized reports that show the exact data you want to see when you want to see it. 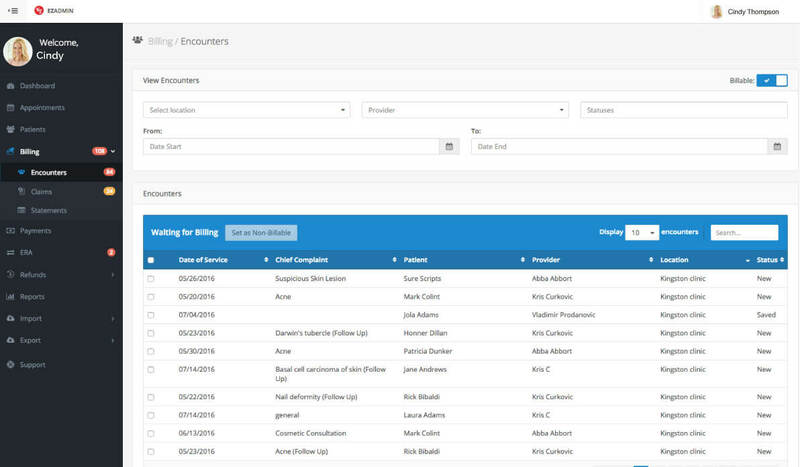 At a glance, see all rejections, denials, open claims, pending ERAs, and encounters that require your attention. Our automated To-Do module helps you stay organized. All electronic payments are loaded into the system live as they are released by the payors for the practice to review. Payments are automatically applied to corresponding pending charges. No other system on the market can post electronic payments faster and more accurately than EZDERM PM. Diagnosis and procedure codes are available immediately for review by your billing staff as soon as the patient leaves the exam room. Once reviewed, a claim can be created and electronically submitted in a matter of seconds. 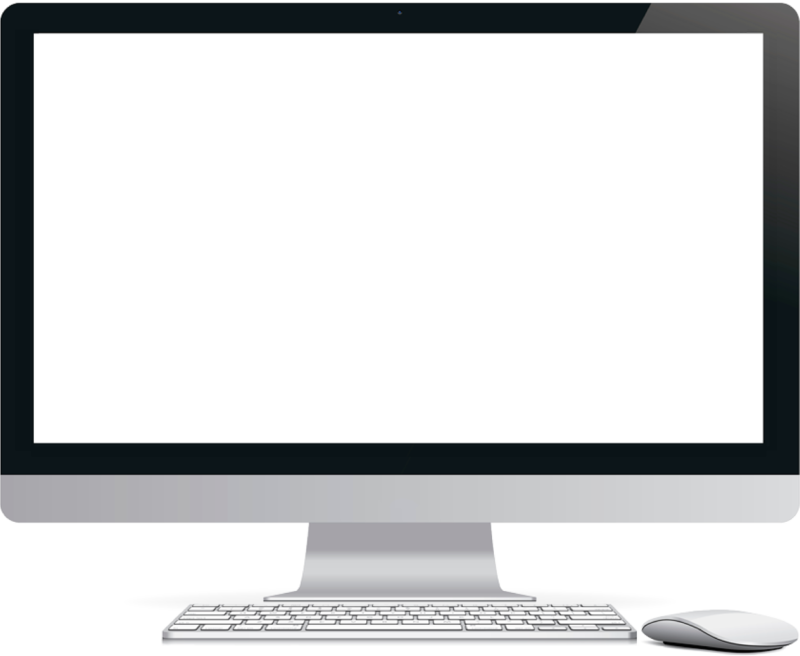 With EZDERM PM, you can cut back on tedious data entry and incorrect code submissions. 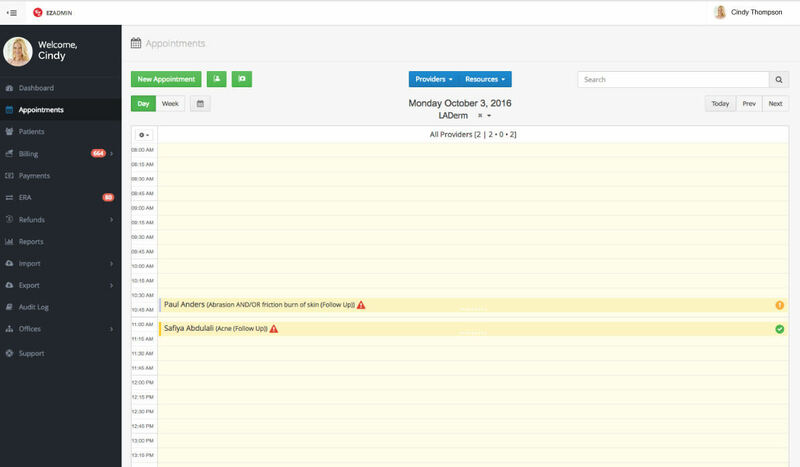 Create custom alerts for specific user roles and choose the screens that these alerts will be displayed on. 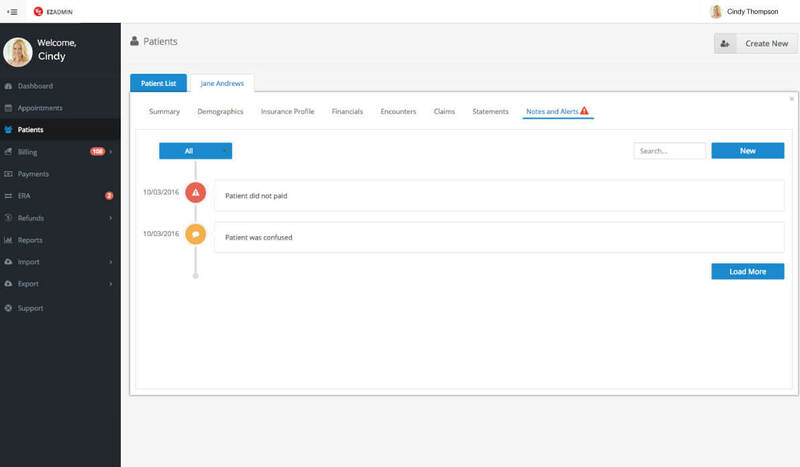 Manage your claims with ease on a single screen. Filter them by specific claim status, work your denials, and scrub and submit them with just a few clicks. 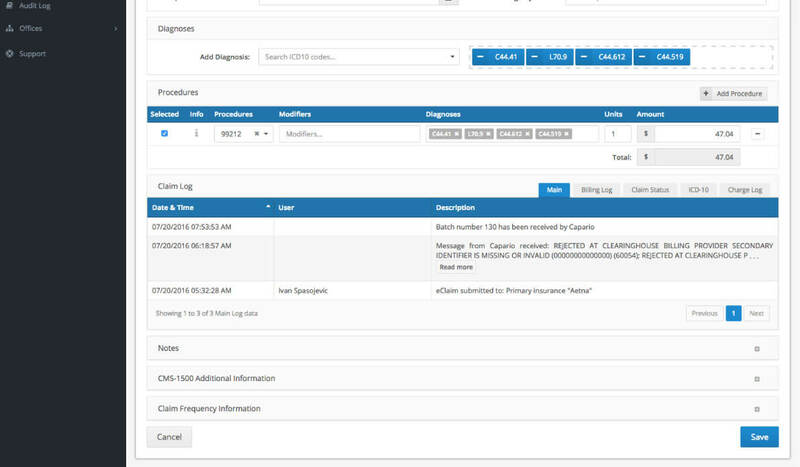 Keep track of all claim statuses, including when a claim was submitted, who changed the diagnosis or CPT code, and when this change occurred. 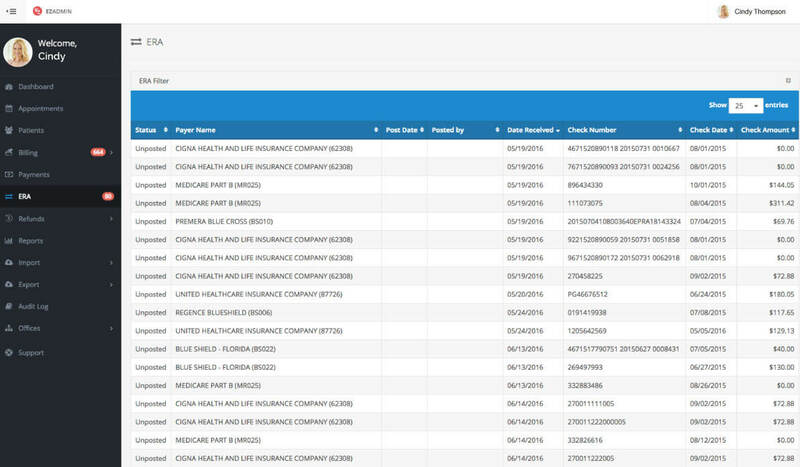 With EZDERM claim logs, no claim gets lost in the weeds. 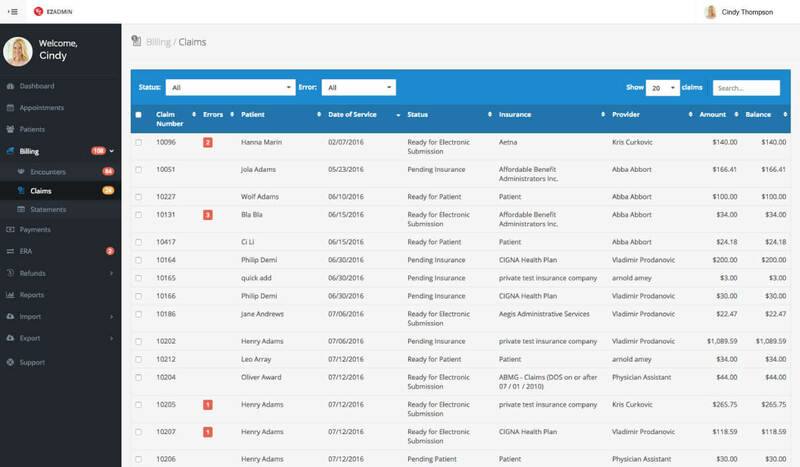 Easily enter, manage and keep track of patient insurance profiles with EZDERM PM. The system keeps a record of all the expired policies so that you never have to wonder what plan a patient had in the past. EZDERM PM simplifies the EOB entry process—enter a claim adjudication note in just a few clicks! Easily review overpayments and create refunds. Refunds and recoupments can have a negative impact on your reimbursement, so we take them seriously. 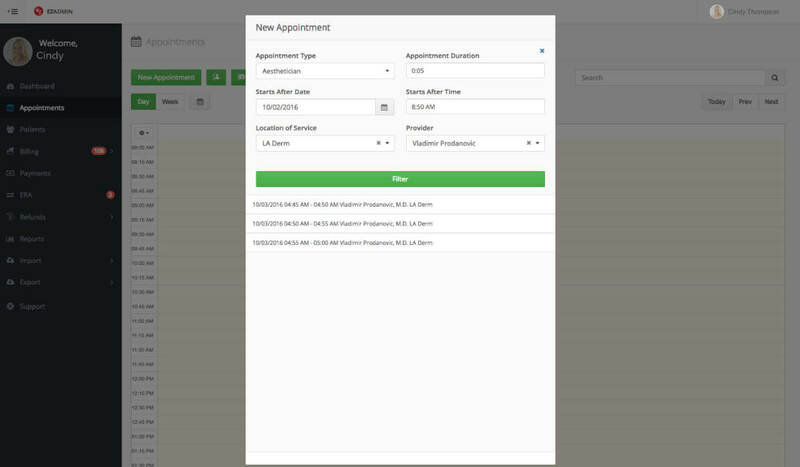 Easily find the first available appointment for a specific provider, specific location, or all of the above. Don’t waste your valuable time manually looking for an open slot, let the system do it for you. 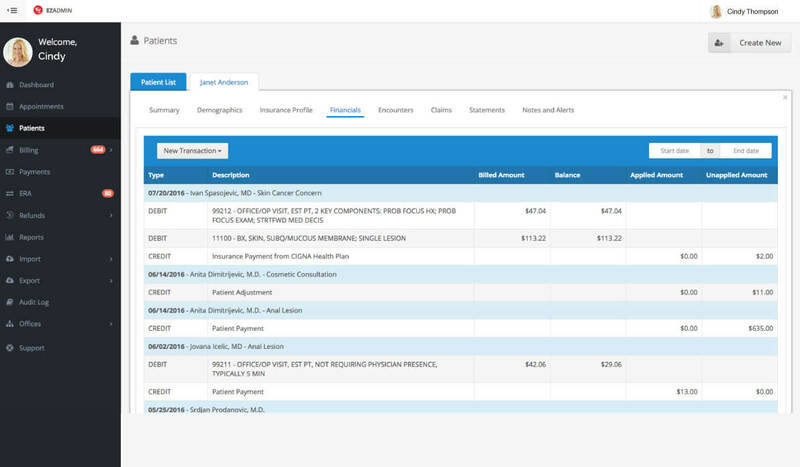 Easily access all of your patients’ debit and credit transactions with the patient financial log.